in rock/paper/scissors a BEAR always wins. Alright, now that I’ve got your attention: there’s one thing you need to understand about this post. 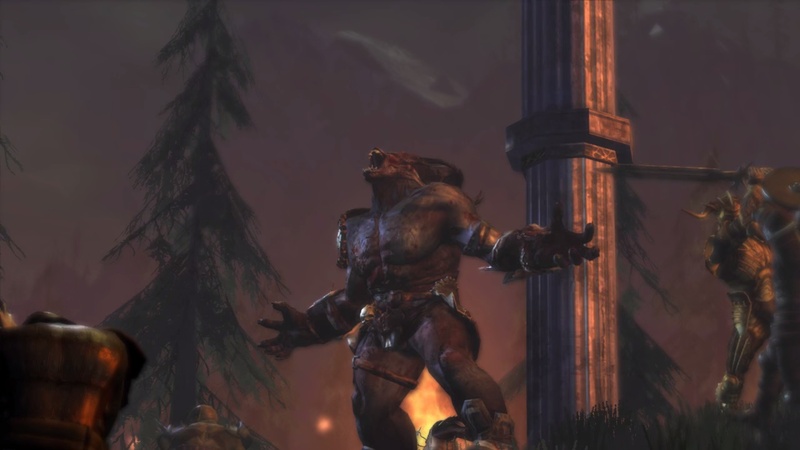 That thing is that the sole purpose of me writing this is to express an entirely biased review of how awesomely awesome Dragon Age: Origins is. I started playing the game because a good friend told me “if you like NoX, then you’ll like this game.” Since I love Westwood Studios’ games, I had to check out something that had their comparison. Now I must stress it’s as much like NoX as water is like piss. There’s a couple similarities, but ultimately they are different things entirely. It must be said that Dragon Age will steal at least one overtime-working week from your life (read: 60 hours) on the first play. But it’s a 60 hours that you’ll gladly sacrifice to be a Grey Warden.